Regardless of your taste in music, you cannot disagree with the notion that is explicitly claimed in the title of one of their most popular songs; “Wu-Tang Clan Ain’t Nuthing ta F*** Wit." Wu-Tang is now a name associated with not only one of the best hip-hop collectives of all time, the Wu-Tang Clan, but also a multi-million dollar clothing line, a series of comic books, video games, books, movies and mobile apps. The iconic “W” logo is now a worldwide icon, symbolizing not just a successful brand but a cult-like movement that is about more than just music. Unlike many brands, Wu-Tang fills the gaps of meaning in people’s lives by proposing ideas that people can live by. 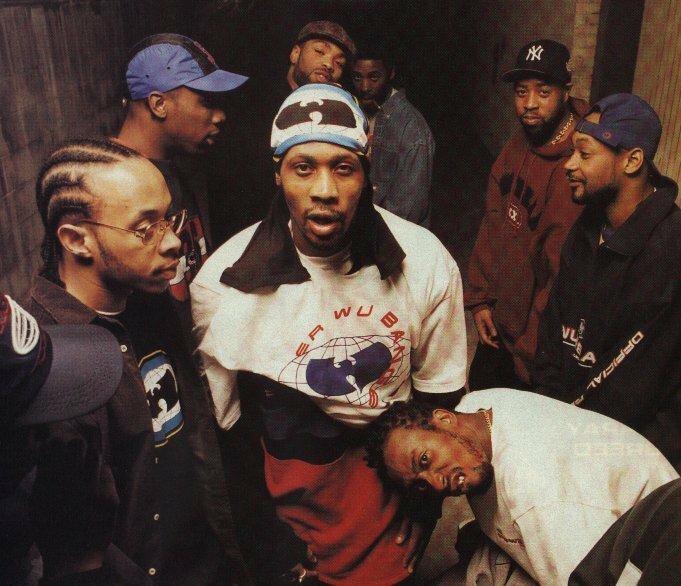 The success of the Wu-Tang brand started with what Robert Diggs (RZA) deemed his “Five Year Plan.” After the recording and success of their first single, “Protect Ya Neck,” the Wu-Tang Clan began to receive attention from several record labels. It was not just the song that was gaining attention, but the group itself as a concept was something completely new. Digg’s vision was to sign the Wu-Tang as a crew but to also allow individual members to sign solo deals with other labels. Digg’s strategy was genius, as he would have multiple labels competing with the sales of members that belonged to the same collective, and then when he thought it was the right time he would release a collective group album - Enter the 36 Chambersin 1993. After the success of the group’s first album, Wu-Tang Productions founded Wu Wear in 1995. Wu Wear was the clothing line representing the brand, lead by executive producer Oli Grant. The clothing includes accessories like doorags, wristbands and headbands, shoes, hats, and even colognes. Soon after, RZA collaborated with Aaron Bullock and Brian Haberline, the creators of the comic book series Spawn, to create a series of Wu-Tang themed comic books. Although short-lived, the series topped the famous X-Men comics for the number one spot in the country and they continue to be an important factor of the Wu-Tang brand. By branching out into several forms of media, Wu-Tang formed different demographics on many cultural levels. The clothing line and comic books allowed for the opportunity of new demographics and brand expansion, reaching new audiences and familiarizing them with the Wu-Tang lifestyle. Fashion and comic books were not the only way for the Wu-Tang brand to reach new audiences. In 1999, Activision and Paradox Development teamed up to produce the video game Wu-Tang: Shaolin Style for the Sony PlayStation. Rated “M” for mature, the game sold well considering its mixed reviews. Activision even released a special edition of the game, which featured a PlayStation controller in the shape of the iconic “W” logo. The film industry is another sect that the Wu-Tang brand impacted. Several members of the group have either acted in movies, produced scores, soundtracks or promotional singles for movies, or even directed movies. Wu-Tang member Method Man is a routine character on the hit television program "The Wire" and "CSI," as well as acting in well known feature films such as How High and The Sitter. RZA alone has worked both on and off camera, acting in several box-office hits including American Gangster, Due Date, and Funny People, has composed scores for multiple television programs and movies, and made his directorial debut with TheMan with the Iron Fists starring Russell Crowe, Lucy Liu, Pam Grier and RZA himself. RZA was also nominated for two Grammy’s for Best Compilation Soundtrack Album for a Motion Picture for Tarantino’s cult classic Kill Bill. The venture into the film industry expands the Wu-Tang brand even if it is done so passively with the consumers. Many people may have never heard of the Wu-Tang Clan but they have probably seen one of the members starring in some of their favourite movies or TV shows. The Wu-Tang brand maintains its success by staying relevant to consumer practices. In 2014, Wu-Tang not only resurfaced with their sixth studio album A Better Tomorrow but also a compilation album entitled The Wu - Once Upon A Time in Shaolin. The double album consists of 31 tracks, not commercially released. If you’ve been living under a rock, the one copy of the album, handcrafted in silver and nickel, was bought by Martin Shkreli for $2 million dollars, which pissed off Ghostface Killah. Shkreli announced that if Donald Trump won the presidential election he would release some of the never-before-heard music library, and he did following Trump’s victory on November 9th (the same day that Wu-Tang dropped 36 Chambers about 24 years ago). Wu-Tang has established itself as more than just a group of inner city friends making rap music. It has become a brand of dynamic platforms; a logo that represents a culture, a consciousness, a movement and a lifestyle. Where their interests and passions earned them success and support, their use of consumer activity trend-spotting and revolutionary business decision-making has kept them reputable and relevant. Their success has revolutionized the music industry and transformed an independent label into the Wu-Tang Corporation and established themselves as the best hip-hop group of all time. Regardless of your taste in music, you cannot disagree with the notion that is explicitly claimed in the title of one of their most popular songs; "Wu-Tang Clan Ain’t Nuthing ta F*** Wit."